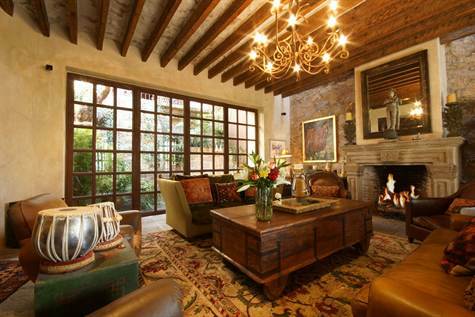 San Miguel Allende has been getting a lot of attention lately. 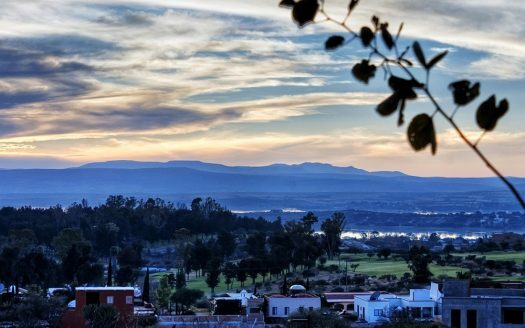 Located 150 miles north of Mexico City, it was voted World’s Best City in July by readers of Travel & Leisure magazine, due in part to its popularity among expats, weekend travelers and summer vacationers. 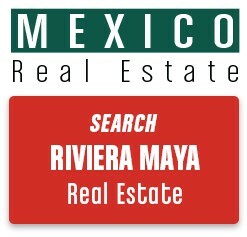 It a great time to invest in San Miguel de Allende real estate, whether for personal use or for vacation rental income. 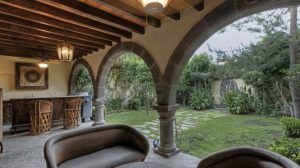 In this article we will look at the types of San Miguel de Allende properties available in the local real estate market, along with some reason for the city’s popularity. 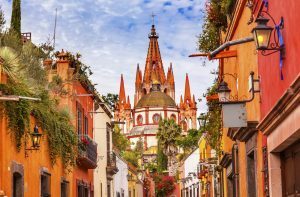 To begin with, San Miguel Allende is one of the safest places in Mexico, with great weather year-around at an average temperature of 67-75 degrees. 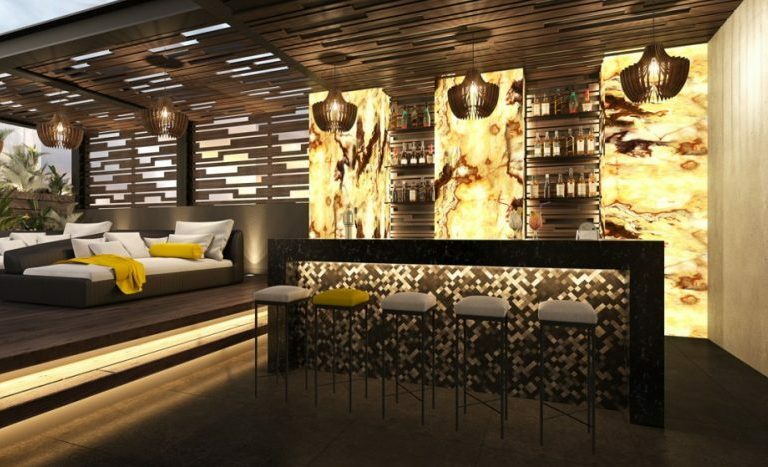 Popular activities here include browsing shops for artisanal crafts, trips to the nearby hot springs, visits to the local art galleries and dining at the many restaurants offering international cuisine. If you plan to live here you should know that the locals in this city are very used to expats. In fact, it is more Americanized than other parts of Mexico. If you do not yet speak Spanish you will do fine, as English is spoken by many locals. American retirees have made this their permanent residence, while Canadian snowbirds migrate here to avoid the cold winters back home. You won´t have trouble making new friends here or fitting into the local expat community which makes up 10% of the city. 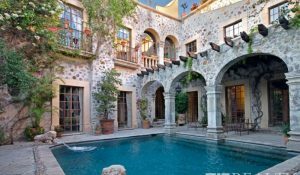 Mexican nationals from Mexico City and Monterrey also make San Miguel Allende their winter home, and there are many communities with condos and apartments in the San Miguel de Allende real estate market. 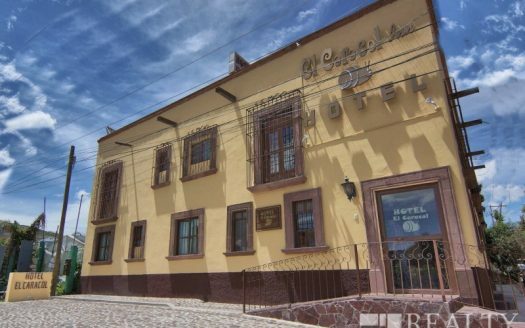 There are a variety of condos and houses in San Miguel de Allende that you can purchased here, depending on your budget and needs. 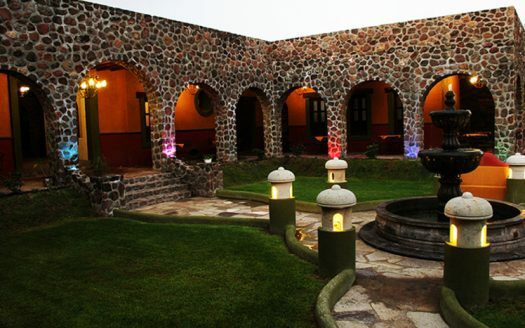 Some are quite rustic, made of materials such as wood with brick ceilings, while others are elaborate hacienda-style houses which are built around a central courtyard. 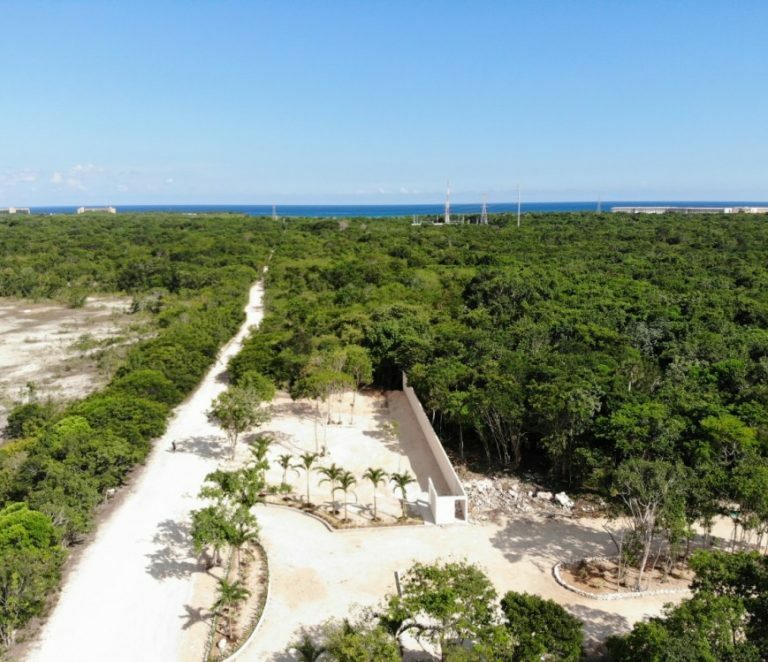 Many used to be sugar plantations or cattle ranches, often owned by several generations of a family, with several detached casitas built on-site which are often rented out. 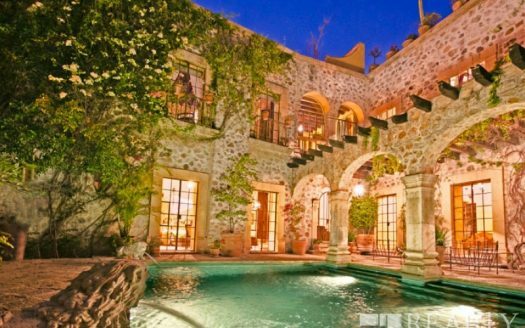 Yes – you can own this San Miguel mansion for sale. Just click on the image above for more information. 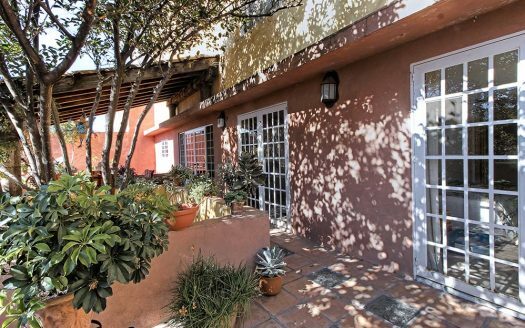 The closer you are to the city centre the more you can expect to pay for real estate in San Miguel de Allende, with real estate prices dropping off significantly once you head out towards the suburbs. Living downtown has the benefits of everything being within walking distance, but it does have its price. 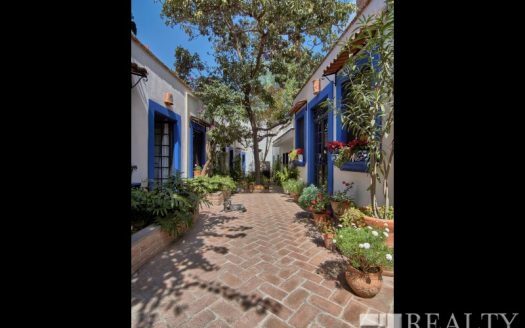 In the high end of the San Miguel de Allende real estate market, $2.5 million will get you a 5 bedroom San Miguel de Allende house for sale located in the city’s centro, in the Juarez Park neighborhood. 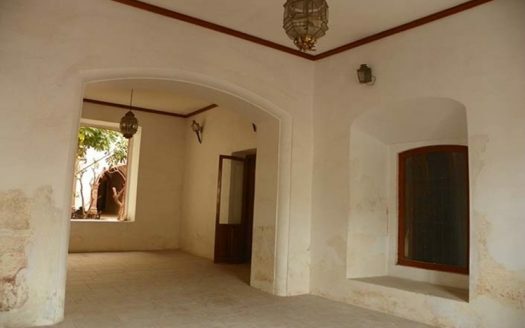 This type of home has carved wooden doors, passageways made of stone, and a large landscaped garden. 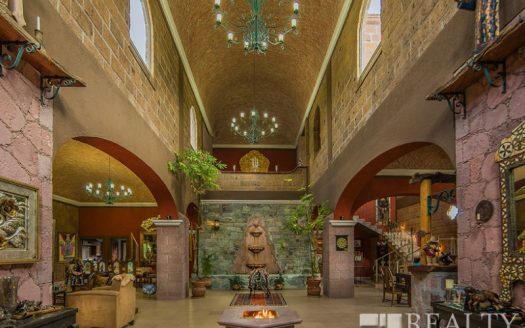 The architectural elements including stone walls, wood beamed ceilings and imported antique features. An upper level master bedroom gives you a great view of the setting sun and the mountains. You can see it here. 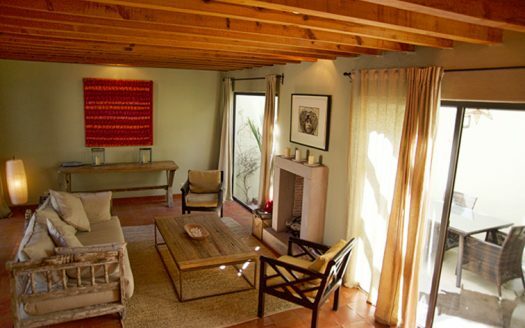 $595,000 will get you a 2-bedroom San Miguel de Allende house located in the Malanquin Golf Club. 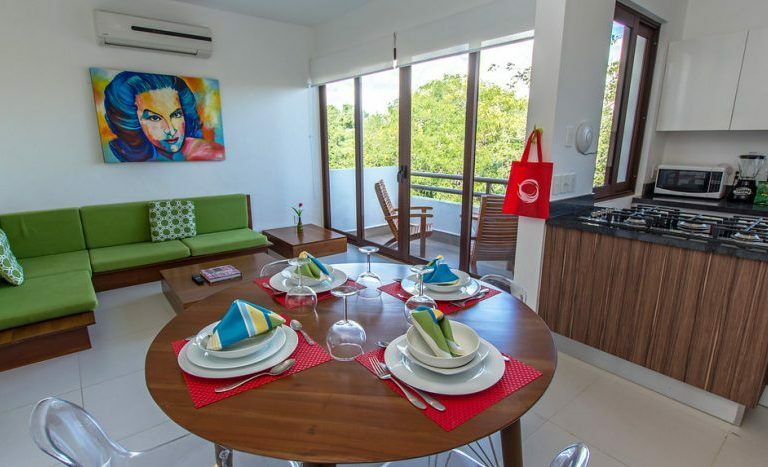 This is ideal for those that are avid golfers as well as residents who want a private, gated community to live in. This type of home comes with a separate 1-bedroom that can be used as a rental unit, or as a spare guest home for visiting family and friends. 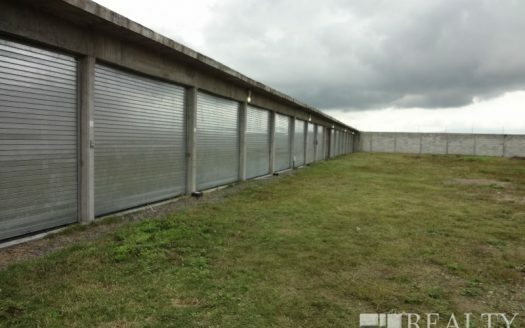 It includes a 2-car covered garage, a sauna, and an elevator. 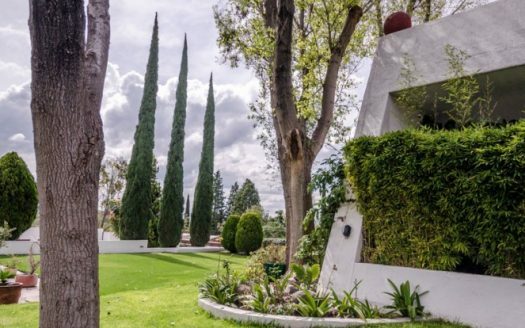 San Miguel de Allende properties like these come with the amenities you would expect from living on a golf course, such discounts on games and access to the clubhouse and other facilities. 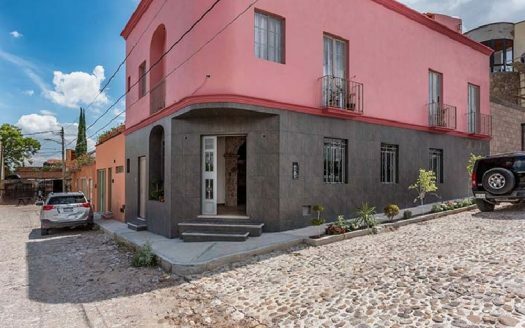 If you are looking to spend in the $185,000 range – you can get a San Miguel de Allende house for sale in the San Antonio area, located a 15 minutes drive from downtown San Miguel Allende. For this price you get 2 bedrooms and 2 baths, an atrium, and living room. 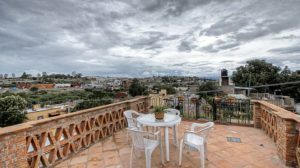 The third story master bedroom comes with a patio, while the 4th floor takes you to the rooftop terrace that looks out towards the San Antonio Church. 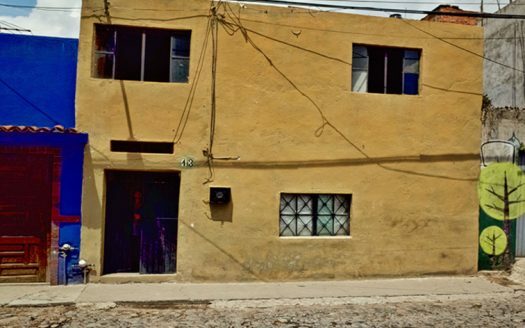 Buying this type of home is a great way to enter into the rental market of San Miguel Allende, at an affordable price and located in a good neighborhood. 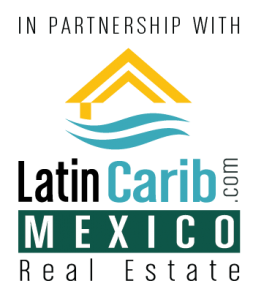 There are also lots for sale in San Miguel de Allende areas such as the Los Patios Residential Development, ranging from $154,500 to $171,000 USD. If your preference is to design and build your own home then this is the ideal choice. 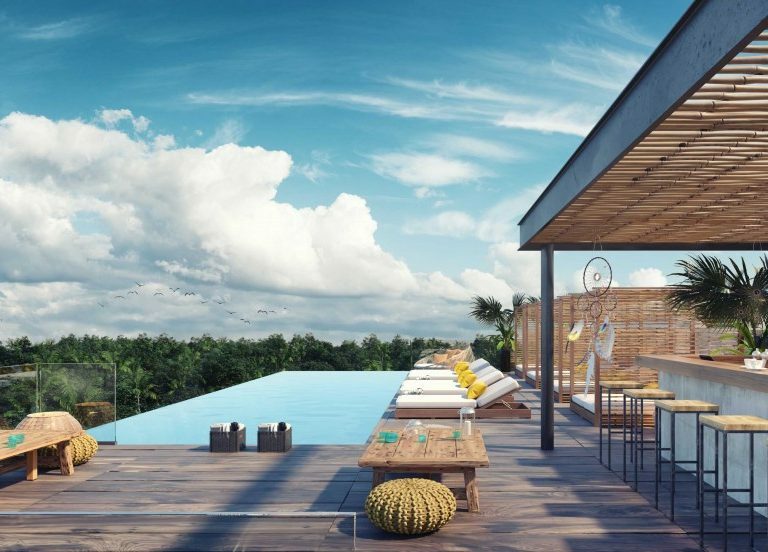 It will give you a mix of country life and colonial style in a location that includes common areas, 24-hour security, and areas populated with trees that act as shelter for birds. 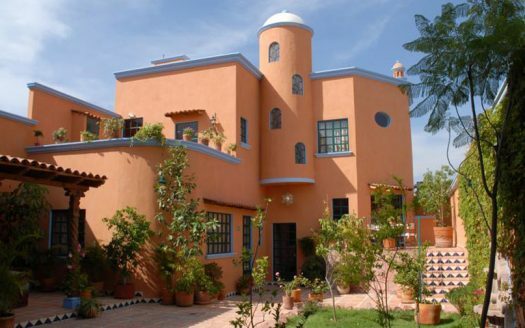 As a new resident of San Miguel de Allende you will find that local health and medical care are very good. There are several hospitals in town ranging from low end to high end, including one that is private. 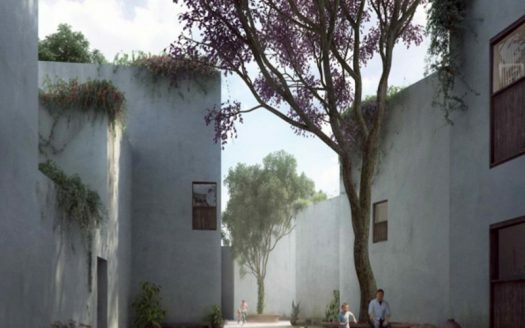 The city of Queretaro, which is located 40 min away, is in the process of building a new hospital, and both places have many clinics. Queretaro also serves one of the two main airports which fly in visitors to the area. In addition, your health will also benefit from the abundance of fresh local produce and locally grown food found in the markets, in part because the city is at the centre of the green movement. 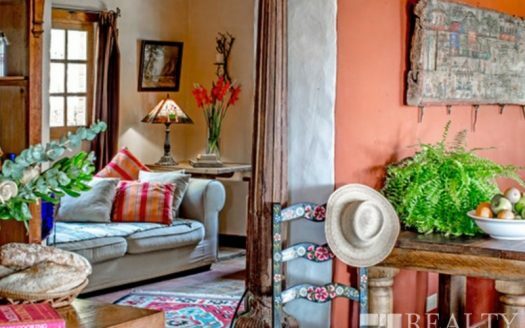 Unlike popular spots like Los Cabos and the Riviera Maya, San Miguel Allende offers a vibrant, colonial culture in a city with a great history. 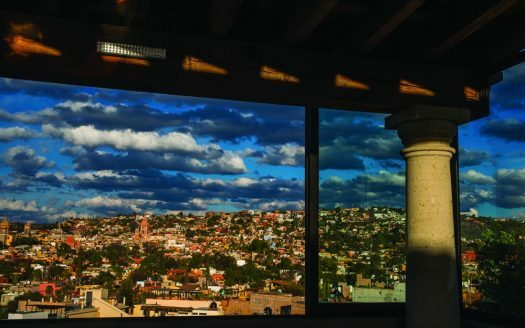 It’s recent accolades and ever increasing number of visitors is already causing rapid changes to the infrastructure, meaning that in 5-10 years the San Miguel Allende real estate market will be unrecognizable from its current state. 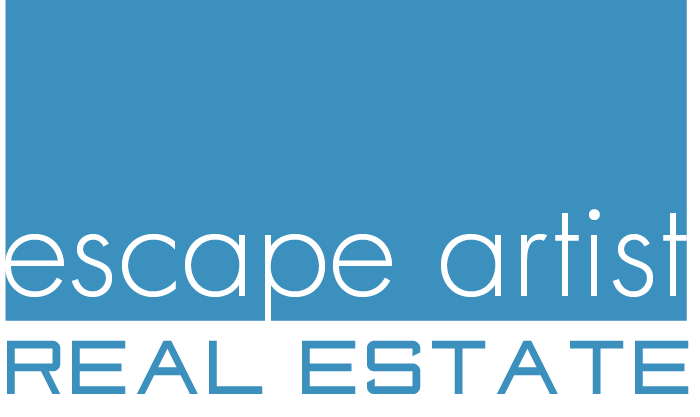 Property owners will reap the benefits, making this an ideal investment for the future. 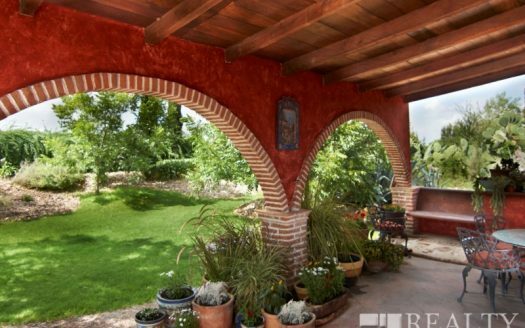 If you are interested in more information on San Miguel de Allende real estate please contact our San Miguel de Allende buyer’s agent to get more specific information on what you are looking for. 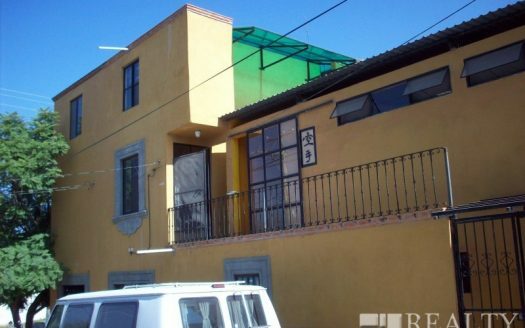 He also offers a San Miguel Relocation & Real Estate Tour so you can see this beautiful city.